Sprint has issued the update for the S8 and S8+ and users are already reporting seeing the OTA notification. The update brings the March security update and weighs somewhere around 1500-1600MB, so make sure you have an unlimited and fast connection before you download it. Left: Galaxy S8 OTA installing. Right: Galaxy S8+. Once downloaded, your phone should be running Android 9 Pie with all the neat modifications of One UI, such as the night mode and more accessible icons on the bottom of the display. The OTA is also rolling out for the Sprint Galaxy Note8. The Pie update is rolling out to the S8 and S8+ on both AT&T and T-Mobile. For Note8 users, we've only seen reports of the software reaching AT&T users, but odds are T-Mobile won't be far behind. Left: Note8 on AT&T. Middle: S8 on T-Mobile. Right: S8+ on T-Mobile. Verizon rounds up the big four. The carrier just updated its software pages for the S8, S8+, and Note8, saying Android 9 Pie will be released today. So look out for an OTA notification on your device or try mashing the button to check for an update manually. 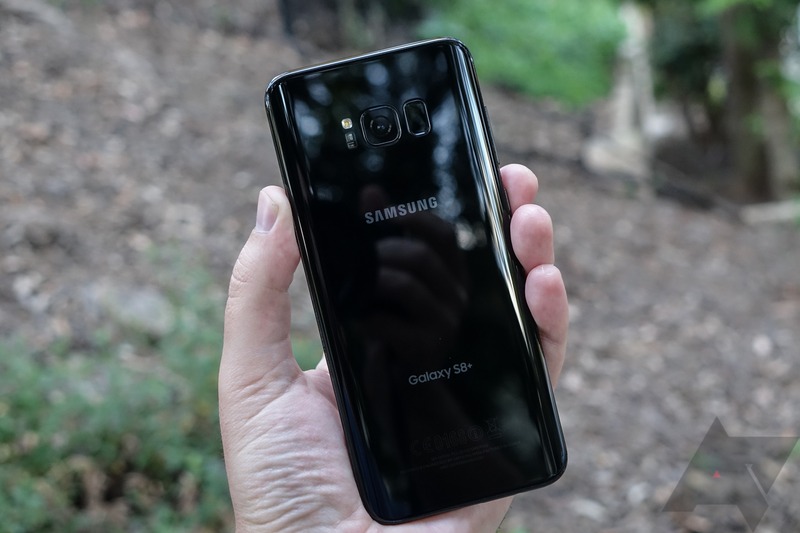 Last time we checked in on Android 9 Pie updates for T-Mobile, the Galaxy S8 and S8+ were covered, but we'd yet to see confirmation for the Note8. Sprint already had it, AT&T got it, and most recently Verizon joined in on the fun — so where the heck was T-Mobile? Well, it's sure taken long enough, but today T-Mobile has finally gotten the ball rolling on Note8 Pie, as revealed on the carrier's support page. As usual, it will be trickling out over the next several days, so do try your best to keep patient. And finally, rounding up the Pie updates, the unlocked versions of the S8, S8+, and Note8 have begun receiving the OTA today. Left: Unlocked S8. Middle: Unlocked S8+. Right: Unlocked Note8.